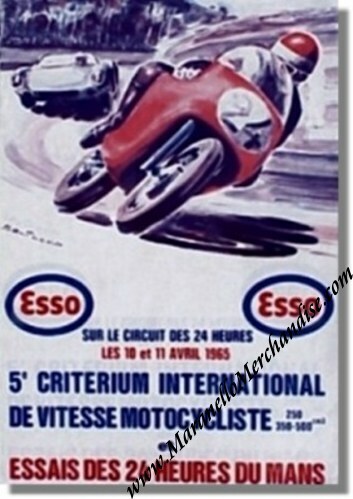 Vintage 1965 24 heures du Mans Qualifying Poster. April 10 & 11, 1965. The race was won by Jochen Rindt & Masten Gregory in their # 21 Ferrari 250 LM (S/N 5893) with a total of 348 laps to their name.